Making fun of Trump supporters has become a favourite sport of late-night TV hosts, and many of them have often moved past their political beliefs to poke fun at their physical appearance. 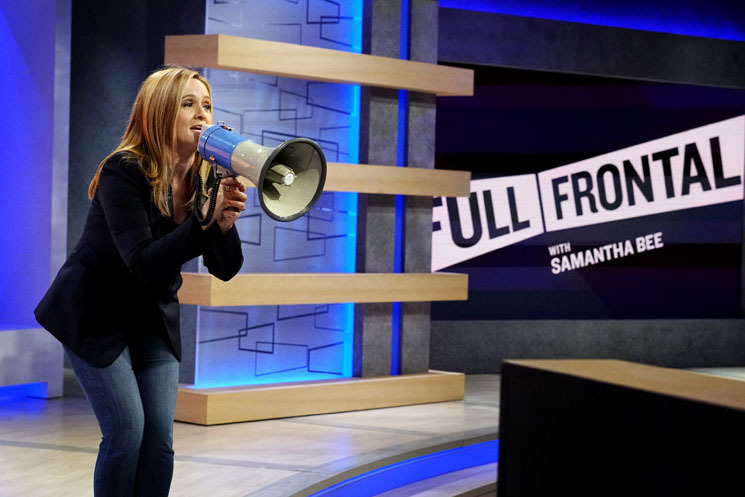 Last night (March 8), Full Frontal with Samantha Bee ran a segment mocking "Nazi hair" at the Conservative Political Action Conference. Unfortunately, one the men's hair only looked like that because he's undergoing treatment for brain cancer. "This year, the bow ties were gone, replaced by Nazi hair, Nazi hair, Nazi hair," said correspondent Michael Rubens while narrating a clip. The final man shown in the video was Kyle Coddington, whose sister Megan spoke up about the video on Twitter. Kyle has been diagnosed with stage 4 glioblastoma, a rare and aggressive form of brain cancer. On his GoFundMe page, he wrote, "Currently, there is no cure, but there is a chance." After the public outcry, the show apologized for offending the Coddington family on Twitter. The video was also deleted from Bee's official channels, though Mediaite has uploaded the relevant clip.